New web hosting providers and plans pop up all the time, and the most established companies tend to lose some of that personal touch the bigger they become. If you had asked us a while back for our opinion concerning this web host, it wouldn’t have been good. 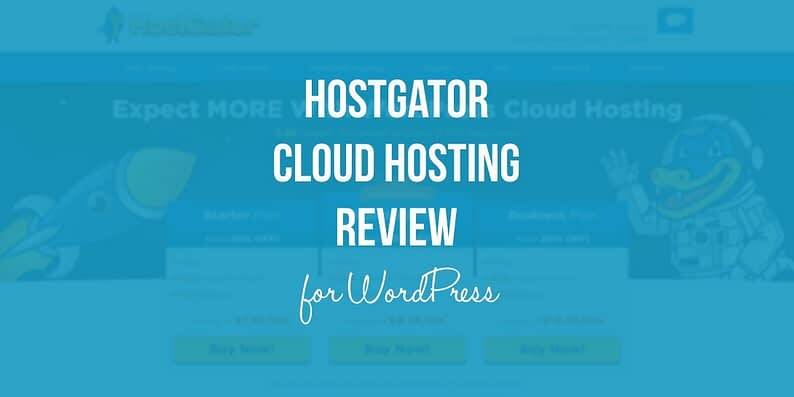 However, after reviewing their latest cloud hosting plans, our HostGator WordPress hosting review suggests that they’ve managed to turn things around. In this piece, we’ll discuss what sets this particular hosting product apart from the rest of HostGator’s plans, and how it performs when rated across a variety of criteria. Let’s get this HostGator review for WordPress started. 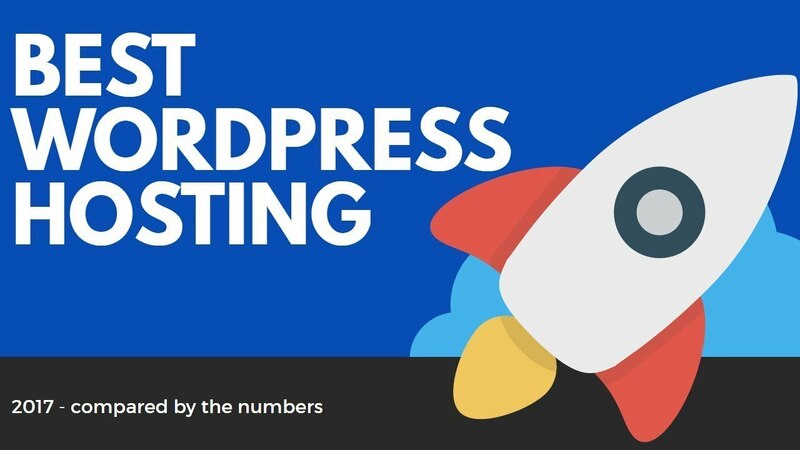 Before we jump into the meat of our HostGator WordPress hosting review, it’s important that we make it clear this review will focus on the WordPress-specific cloud hosting plans. If you subscribe to a different type of plan, your mileage may vary. It got a 3.7 / 5 overall rating, placing it third from last among nine hosts. Only 74% of the surveyed users expressed an interest in renewing their subscriptions. They scored a 2.4 / 5 for WordPress optimization, and their support was rated 3 / 5 concerning knowledge of the CMS. Let’s see how they do when we limit our evaluation to their WordPress cloud hosting. While HostGator does offer a few freebies to sweeten the deal for prospective customers, their WordPress-specific features are a bit on the light side. However, it’s worth noting that HostGator is one of the cheapest managed WordPress hosts around, which explains the lack of advanced features. 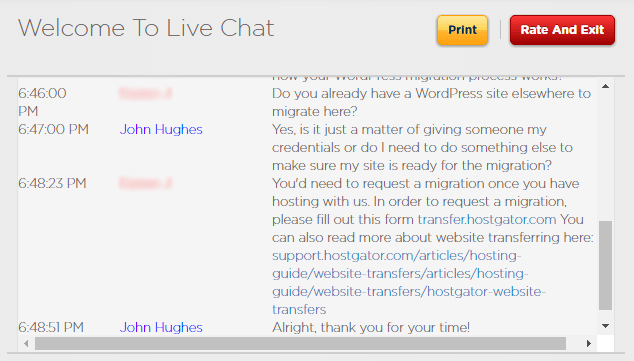 The second stop in our HostGator WordPress hosting review concerns support features. HostGator enables you to contact their staff of specialists via live chat, phone, direct mail, and even fax (we’d love to know if anyone has ever taken them up on that option). Their support staff is available 24/7, which we can attest to since we contacted them pretty late on both a Thursday and a Saturday. The first time we waited for approximately six minutes and the second time around the wait time went up to ten minutes. Both times, we found their support staff to be a bit tentative with their answers when it came to WordPress, but they did point us towards the right resources to solve our imaginary questions. HostGator’s WordPress cloud hosting claims to offer up to 2.5x faster speeds than the competition thanks to low-density servers and custom Content Delivery Networks (CDN) solutions. Furthermore, they also enable their users to scale their cloud settings with a single click to deal with unexpected traffic spikes. 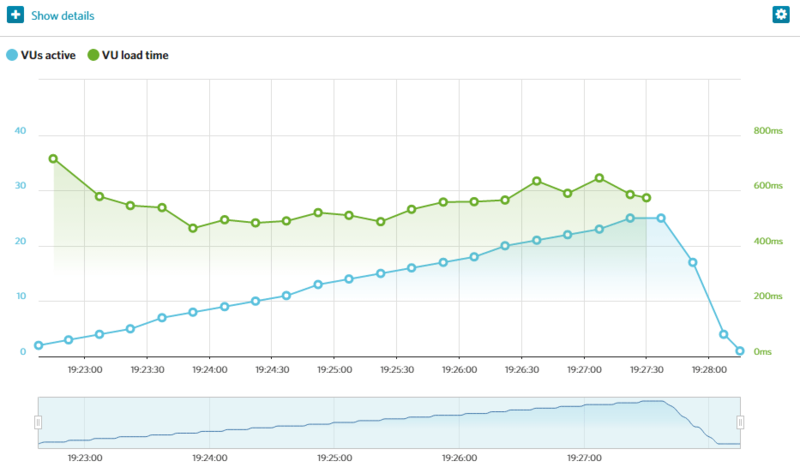 We’re not about to blindly trust a web host’s speed claims without testing things out for ourselves. So, let’s do that. The test results indicate that a wide variation in load time exists based on the geographic location from where the site is accessed – something that could be attributed to the location of HostGator’s datacenters. Let’s see if that hypothesis stands up to a tougher test. Minimum response time: 0.46 seconds. Maximum response time: 0.71 seconds. These are some of the best load times we’ve seen from any web host – and they were obtained during a stress test (albeit a modest one). So, our hypothesis holds up. 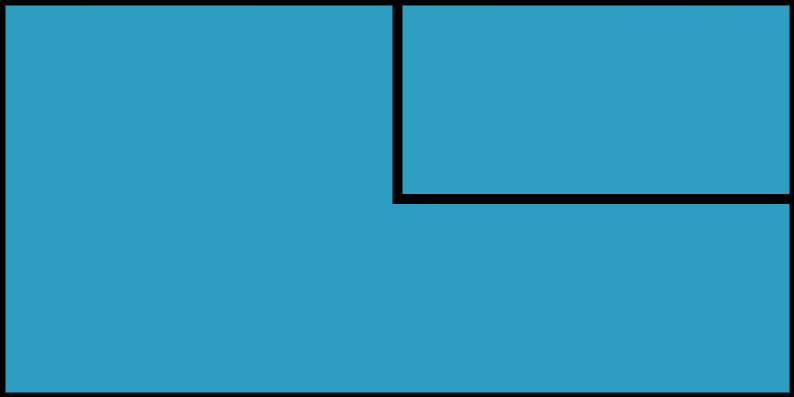 The variations in load time are due to geography and not inconsistent server performance. Starter ($7.96 per month): This basic plan can be used to host a single website with up to 25,000 visits per month. 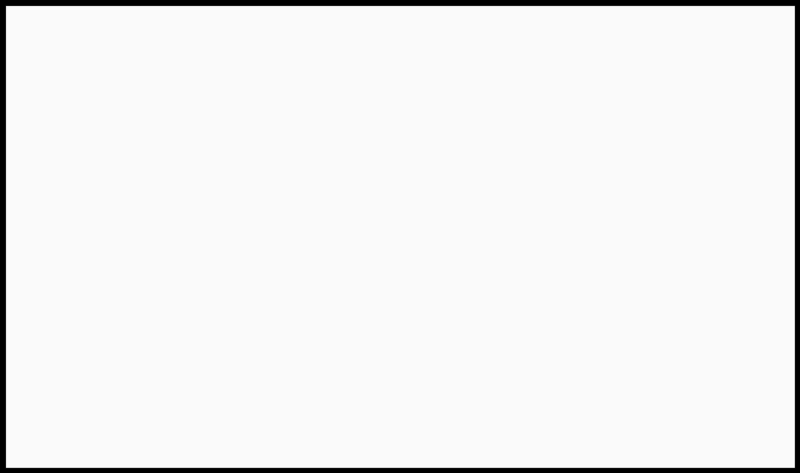 It is perfect for blogs and small service websites. Standard ($9.56 per month): The standard plan will host one or two websites and supports up to 200,000 combined visits per month. It should be more than enough to handle modest service sites and small e-commerce platforms. Business ($14.36 per month): As its name implies, this plan is suitable for established business sites and big e-commerce sites. It can be used to host as many as three websites and can handle up to 500,000 visitors per month. Earlier, we touched upon the fact that HostGator is a bit light on WordPress-specific features. That remains true, but this provider also offers excellent value, which we believe offsets that shortcoming. Finally, keep in mind that while these prices were correct at the time of writing, HostGator may have modified them since. We’ve covered a lot of information so far, so let’s take a few minutes to break down a few key takeaways. HostGator’s support staff is available around the clock and provides reasonable service despite not being exceptionally seasoned when it comes to WordPress. They offer temporary scaling options, which are perfect for dealing with occasional traffic spikes without upgrading to a more expensive plan. They will help you migrate your WordPress site. Each plan comes with access to a global CDN and a free SSL certificate. Their managed-WordPress hosting plans are a bit light on advanced WordPress-specific features. Overall, we feel that HostGator has made impressive strides in improving their WordPress hosting services and we’re excited to see if this trend continues over time. Do you concur with the findings of our HostGator WordPress hosting review? Tell us why or why not in the comments section below!